For over 150 years Ingersoll Rand has provided a wide range of technologically advanced, highly reliable, low maintenance air compressors. As an Authorized Ingersoll Rand Dealer, we have deep knowledge of the industry and use that experience to provide the ideal solution for your business. Don’t risk your productivity by purchasing from a non-authorized IR dealer. When you order from ingersollrandcompressedair.com, you will receive high-quality OEM products with a complete factory warranty. 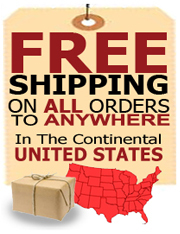 In addition, all orders are drop shipped directly from the factory, saving you time and money. You’ll leave nothing to chance when you order from the best!